Darren Silvester, DPM (Pleasanton) - Book Appointment Online! Please Note: We cannot confirm your appointment if you do not provide your insurance information. 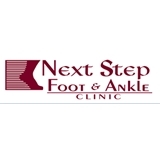 At Next Step Foot & Ankle Clinic, we take pride in making your journey to health both easy and effective. Equipped with the latest technology and most innovative treatments, our office has been recognized nationally for our work in HyProCure treatment procedures, and we are one of few clinics in Texas to offer the quick and painless MLS Laser Therapy. We offer treatment for a range of injuries and conditions that affect your daily life. I've always had good experiences with Dr. Silvester and his staff! They're all always so cheerful and very nice and helpful! He's always made me feel like I'm his only patient. And if I feel like a therapy or procedure didn't work, he didn't make me keep trying it, he said he wanted me to feel better which means he cares about his patients. I'm now driving an hour one-way to be seen by him if that says what I think of the whole office. ? ?